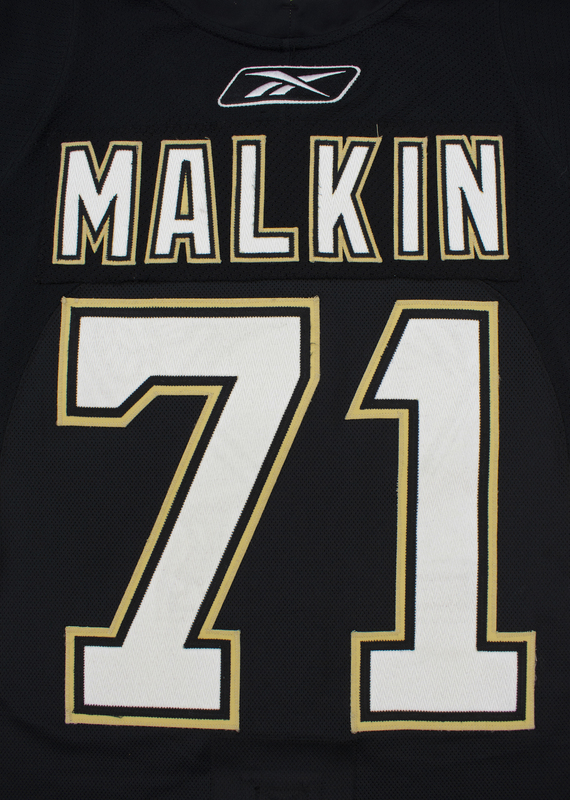 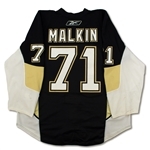 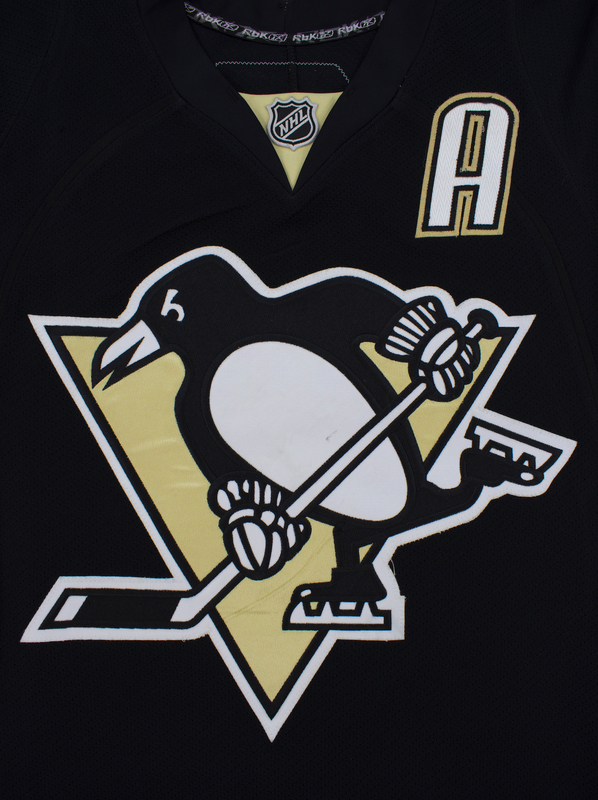 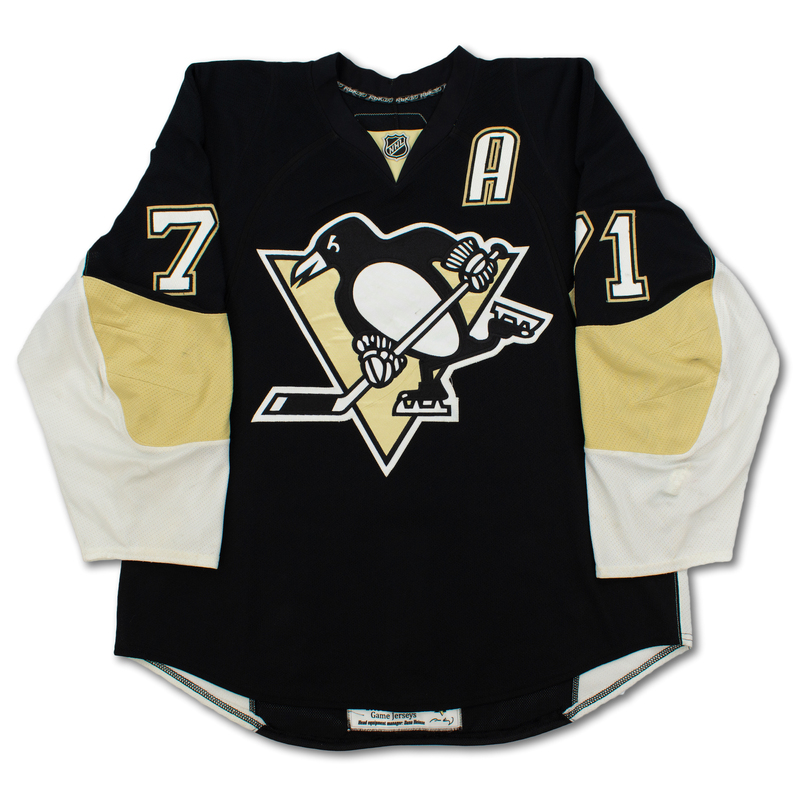 Presented is a size 56 Reebok Pittsburgh Penguins black home jersey that was worn by Evgeni Malkin during the 2008-09 NHL Regular Season. 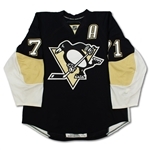 The jersey shows good game used with board burns, stick marks and a large repair on the left wrist. 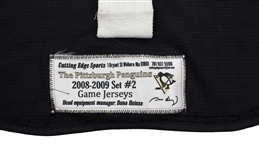 The fight strap is intact and signed by the Penguins equipment manager, Dana Heinze. 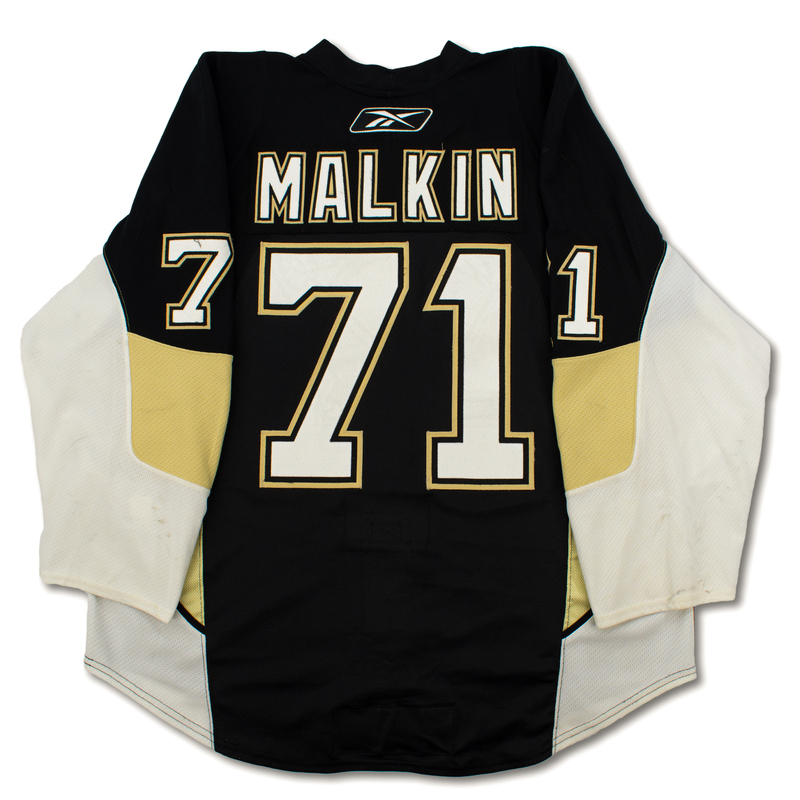 The jersey is accompanied by a letter of authenticity from the Pittsburgh Penguins.